If you believe you are entitled to a tax refund in Australia, you need to visit the Australian Tax Solutions website today. Established a number of years ago, we are a dedicated company that provide some of the highest quality services in the industry. We are very committed to all the work we do and our team have a wealth of experience – so you know we are the company you need to go to. Here at Australian Tax Solutions, we are Australian trained and registered tax agents that specialise in providing Australian income tax services.  Now based in Ireland, we are providing Australian tax services to clients worldwide, using our professional and personal experiences to get the best tax outcome for all clients, no matter how big or small. If you own a property in Australia that is rented out, you are required to submit an Australian tax return to declare any profit or loss – and our team will be able to help you with this. If the property is profitable under Australian tax law, the tax must be paid in Australia. Depending on your personal circumstances, you may also have to declare this rental income in Ireland. We can coordinate your Irish tax returns to ensure the best possible outcome in both jurisdictions, so make sure you contact a member of our team and they will be able to support you throughout the process. Do you need a tax refund in Australia? Make sure you visit our website today. However, if you would like to have a chat with a member of our excellent customer service team – give us a call on 085 8720746. Alternatively, fill in the contact form on our website and someone will get back to you as soon as possible.